Topcrop Berry and Nut wild bird food has been designed to attract a wide variety of berry, fruit and nut eating birds. 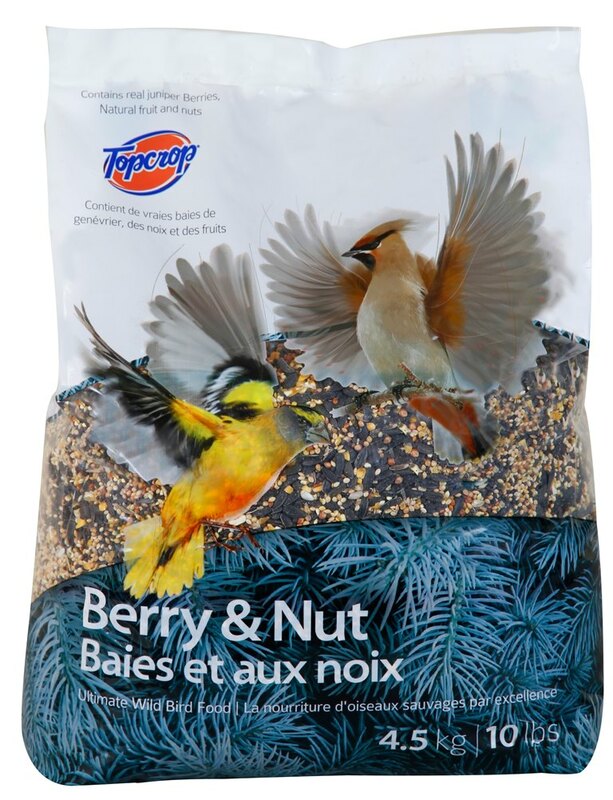 Topcrop Berry and Nut contains premium mix of healthful seeds and grains, and real dried berries and fruit as well as the high energy nuts that many birds crave and provides all of the balanced nutrition necessary to keep your backyard friends singing all year long. It will attract all of the most desired birds in your area while providing them with the healthy nutrition wild birds require for sustained health and breeding. Black oil sunflower, Canola, white prosso millet, cracked corn, Safflower, red milo, peanuts, red millet, juniper berries and/or blueberries, cherries and/or papaya and/or mango and/or pineapple, flavour.